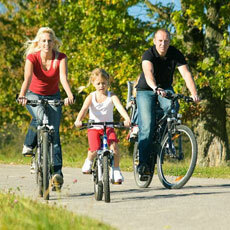 For lovers of active holidays in the Carpathians daily at Dian Skhidnytsia opened Bicycle rentals: adults and children. Bicycle tours in the Carpathians – an opportunity to spend the day memorable, gain strength and healing energy. Sitting on the bike, you will see the Carpathians interesting than from the window of a bus or a car. developing the muscles, joints and maintaining eventually increases longevity. Guests treatment complex “Dianna” like riding a bike to sources № 25,26, and number 3, on a dirt road from the direction of the village Skhidnytsya in Rybnik: the level of complexity is low, but a fabulous view of these places, which are called “Ukrainian Switzerland” is striking. In the Dianna You can rent a bike for self-drive, order a walk led by an instructor and dive into the real cycling extreme. Tell me, have you ever dreamed of a ride on something unusual? Segway is a two-wheel electrosamot (platform with two wheels, between which the steering wheel is located), moving on a flat surface, can reach speeds of up to 20 km/h. Segway riding will appeal to active people who love movement and do not think their life without drive. This is a good gift for a young man or girl or a couple. Russian bath – a procedure that gives pleasure and joy, wonderful simulator that cleanses the skin, allowing lose weight, cleanse the body of toxins. In doubles increased oxygen consumption, blood begins to move backup, decreases tension. In our cozy bath, emotional conversation, delicious tea. In the bath will accommodate up to 6 people. Comfort will create a pool of cool water, plasma TV, free Wi-Fi, SPA-procedures, honey and salt rubbing, rubbing honey and coffee, steaming broom, washing wormwood-grass, Carpathian herbal tea and aromatherapy. Our bath offers bar service and professional attendant. You can buy all bath accessories and brooms. We invite you to join the team of balloonists and take part in an unforgettable aerial tour over Skhidnytsia and the Carpathian Mountains.Hot air ballooning – a fascinating walk at the height of the bird’s flight, filled with incomparable feeling and a lot of positive emotions, romance fifth ocean. Skhidnytsia – the only place in Ukraine where you can fly in a balloon in the mountains! 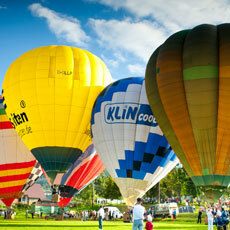 The whole trip takes about 3-4 hours from leaving the place of the balloon to start initiation balloonists Champagne. An important condition for the flight is good weather – the wind is not more than 5 m/s and the lack of precipitation. The flights are carried out in the morning (2-3chasa after sunrise) and evening (2-3chasa before sunset). 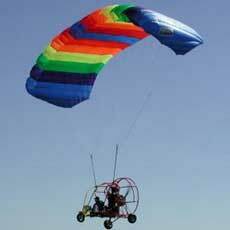 Exciting emotions and a lot of positive impressions you feel flying in aeroshute! To lift the wing only need to choose the right direction start – increase engine thrust, acceleration, and the wing is filled with air. A short acceleration – and you’re flying! Aeroshut considered safest form of aircraft. Sam aeroshut collected from special materials in aviation technology that provides high durability and safety of the machine. Load the machine is 250 kg, the speed range of 30 to 60 km / h., The altitude – from 1-2 meters to 5000 meters above the clouds.